I have the parts ordered and this project log will continue with time and there will be future updates. 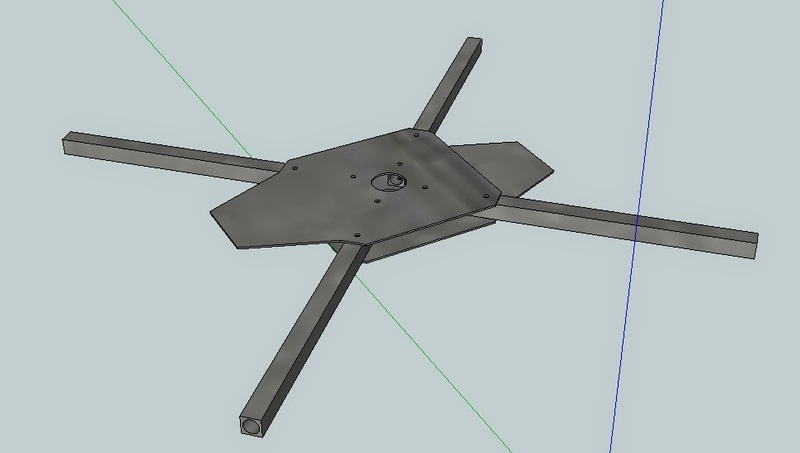 This will be my 3rd multirotor project. The big hexacopter was my first ever successful frame project, which was meant to be something that was simple, easy-to-build, easy-to-fix and cheap. The total cost was around 120 €. The center frame and the legs are milled polycarbonate, which I had made by a local acrylics company. And it flew quite well and I learned how to fly with it. Below you can see my first even maiden flight with it and my first ever flight with a multirotor. The second was a much smaller framed multirotor which was meant for indoor flying, but what I needed was a better frame for aerial videoing. The big hexa's frame is just too floppy, it has terrible vibrations running through it and it's much too heavy, which limits the flight times and it doesn't look particularly professional.